As I mentioned previously, the vinyl pickings were fairly slim at the weekend, and the day's mission only uncovered half a dozen records worth purchasing. 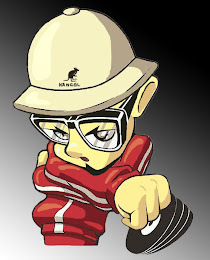 So this week I feel obliged to take a day off and head over to my reliable spots that always give up the goods. Although I must admit, on reflection and after reading your comments I realised that the records I had copped may have been small in numbers, but were sky high on quality. I guess I'm not easily pleased sometimes but that's not a bad thing. FIRST PRIORITY 12" in the bargain racks. I thought I had already scooped all of the FIRST PRIORITY records I wanted, so this one caught me off guard. But then on listening to "Poor Georgie" I can guess why I would have left this record behind back in the days. However the flipside is another ballgame entirely - LYTE at her most fiery. Just how I like her. 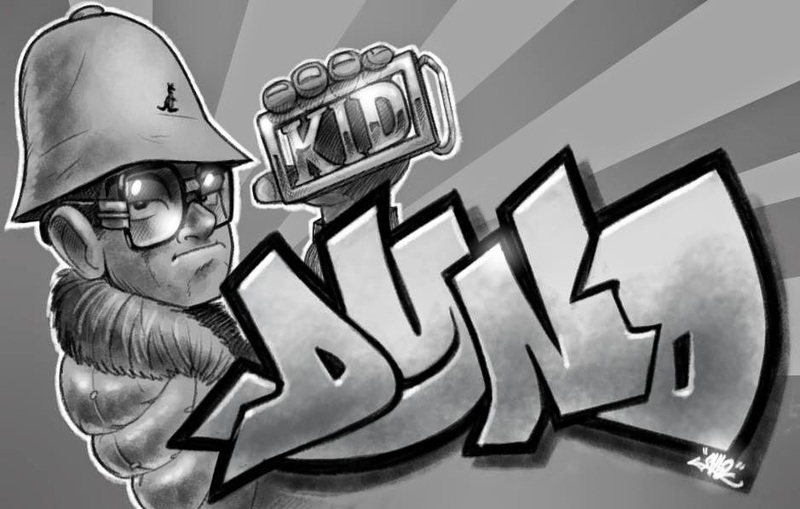 Once again we have the KING OF CHILL on production, so the beats are guaranteed dope (he uses FUNK INC's "Kool's Back Again" drum break to great effect). 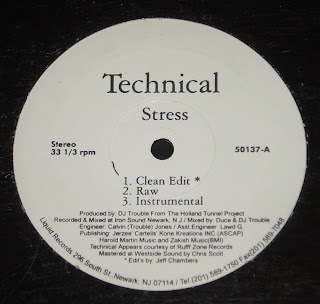 Plus it's good to have a much louder pressing of this joint than the LP version which was kinda lack lustre. 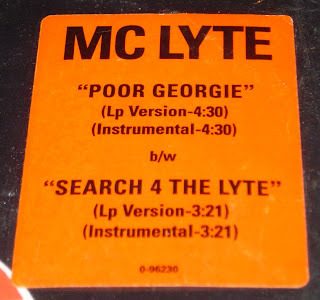 MC LYTE - "Search 4 The Lyte"
Haha - I really like Poor Georgie!